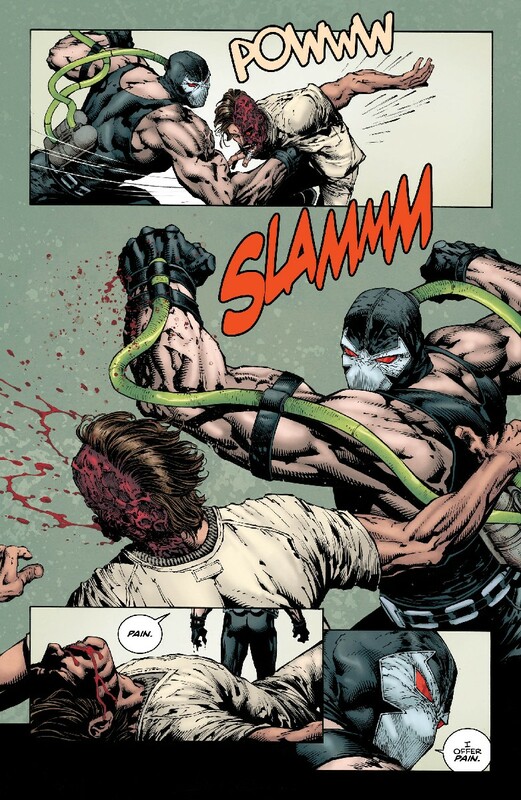 If you’ve been following Tom King’s run on Batman as of late, you too may agree that the current arc, “I am Bane,” is the best he’s produced yet (you can check out our five-star review of issue #18 here). 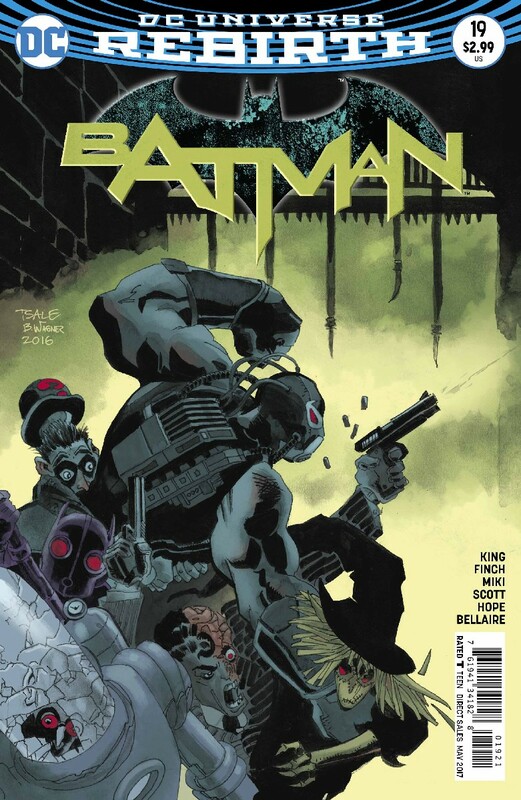 As it turns out, the penultimate chapter of said storyline looks to test the mettle of one of the Dark Knight’s deadliest foes. 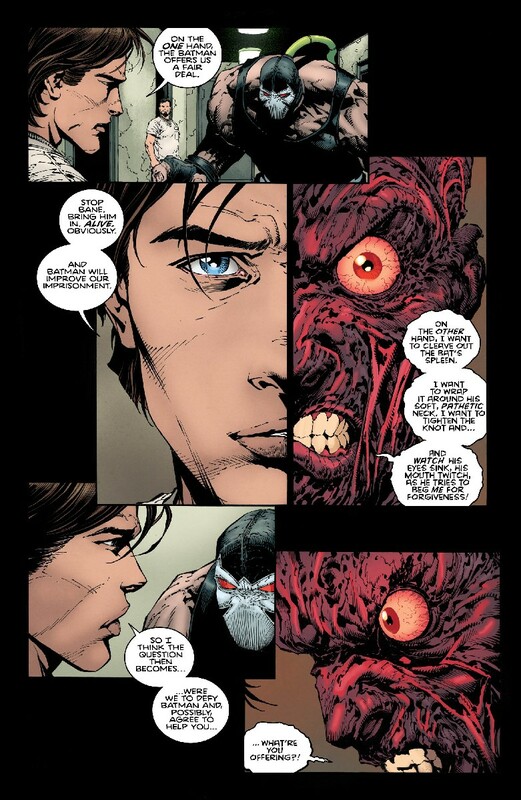 To this point, neither Batman nor Bane have shown the other any leniency in the unfolding saga, effectively making this their most brutal encounter in some time. 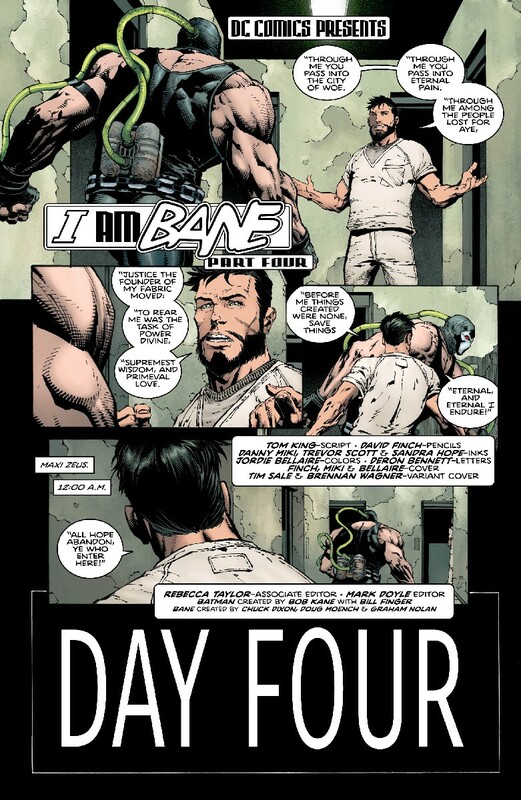 And perhaps that’s the very beauty of “I am Bane”: It’s just a straightforward renewal of one of comics’ most bitter rivalries. 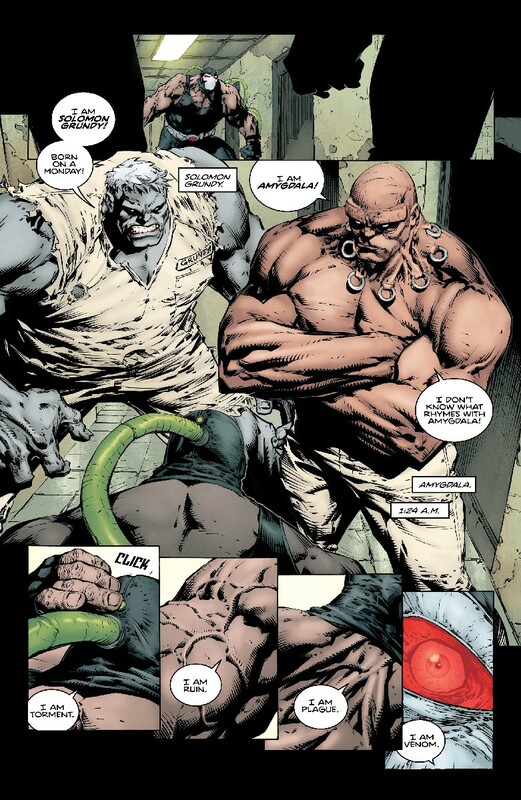 As I intimated earlier, our favorite Venom-guzzling menace will have to take a tour of Arkham Asylum, effectively facing some of Gotham City’s most dangerous in the process. 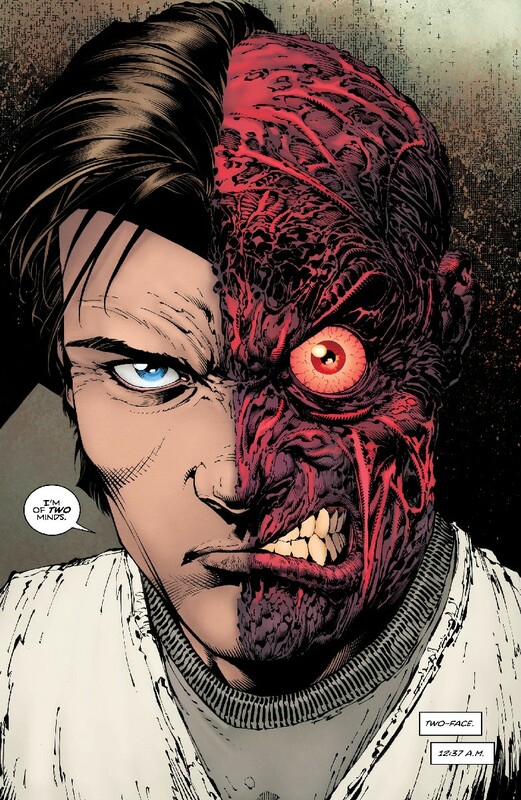 Based on the interiors included in the gallery at the top, we can confirm that he’ll confront Two-Face (who doesn’t seem to be much of a challenge for him), in addition to two bruisers in Solomon Grundy and Amygdala. 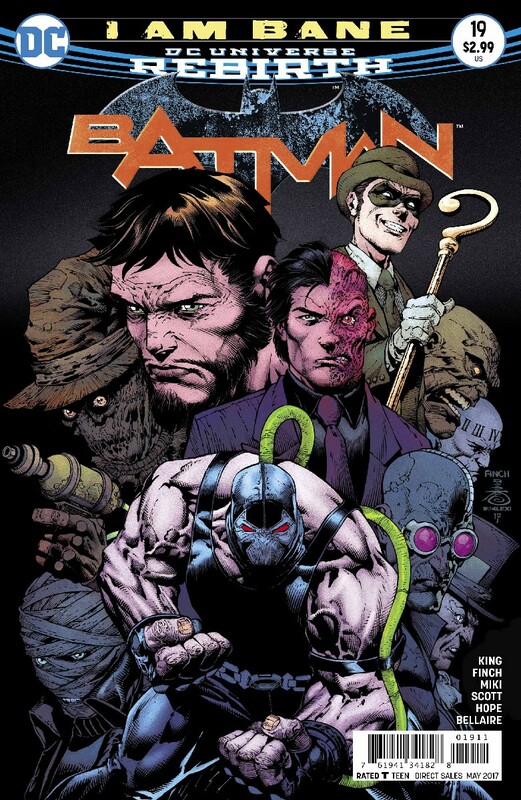 I have no idea what the former is doing locked up in Arkham since he’s a zombie, but I guess we’ll just have to enjoy the story for what it is.